An Archive of work created through socially engaged practice, with an emphasis on naming and documenting different approaches to dance in this context. Oil & Water do not mix – they are described as immiscible, contrasting textures, conflicting ideologies. However these substances move around each other, without contamination or compromise, one assisting the other to rise, both eventually settling back in their place of comfort. RUA RED gallery will act as a pop up ‘digital theatre’ space for three days in June 2016, where dancers from a variety of artistic backgrounds and movement techniques will collaborate with Dance Artist in Residence Cathy Coughlan and Havoc Dance Company, to present a series of new multidisciplinary works. 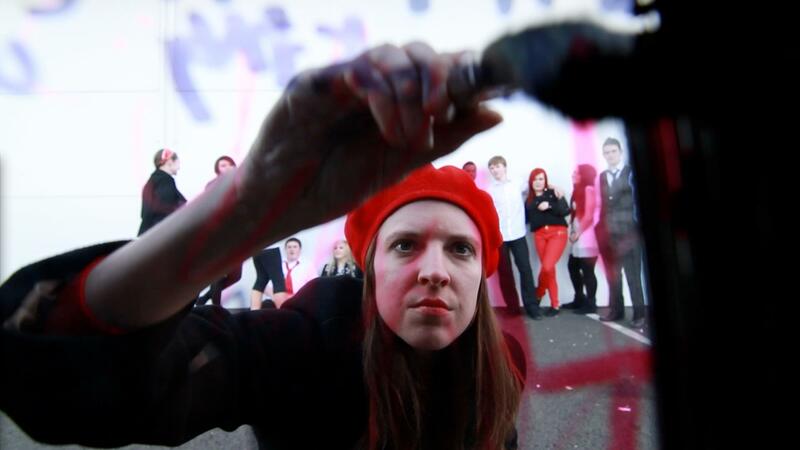 Havoc have chosen to collaborate with a group of artists who, through situation or location, do not necessarily access or require a traditional theatre structure. Oil and Water will create an opportunity for live performance to be expanded through digital media allowing the dancers to fully investigate the concepts and themes within their work. The four walls of the gallery will operate as a fluid canvas or backdrop for each performance, magnifying movement and unraveling narrative. Each performance is connected through film and projection. Artists were facilitated in making their work site specific. The recordings take in the length and breath of the country, from the bogs of Connemara, to the lakes of Cavan, to the grittier parts of inner City Dublin. This work explores themes of isolation, conflict and mutual support as the dancers look for points of intersection and moments of synergy between the digital world around them and their physical body. Magdalena Hylak is a Clifden based dancer and choreographer. She studied cultural studies, including theatre and dance, at University of Wroclaw, Poland. She has worked with companies and choreographers including Fabulous Beast Dance Company (IRL), Liz Roche (IRL) and Lea Anderson (UK) as part of Step Up Dance Project; Ciotóg (IRL), Catherine Young Dance (IRL) and Jacek Gębura (PL) amongst others. Her dance productions have been shown during Dublin Dance Festival, Galway Culture Night and she has been awarded commissions by both Galway Dance Days and Clifden Arts Festival. Her most recent work was shown in Italy with the support of Culture Ireland and Galway Dance Project. With a background in Performing Arts (Bull Alley), contemporary dance artist Ailish Claffey works as a freelance choreographer, director, dramaturg and performer. Since graduating Ailish has been creating and performing new work both nationally and internationally. She has worked with choreographers including Anneke Hansen Dance (NYC), Irish Modern Dance Theatre (Ire), Sara Rudner (NYC) and Daria Fain (NYC). Ailish’s choreographic work has been performed internationally including New York, Boston, Pennsylvania, Canada & Sweden in addition to various national venues including The Project Arts Centre (Dublin) & The Firkin Crane (Cork). Ailish’s choreographic work has been performed as part of The Dublin Dance Festival, The Dublin Fringe Festival, Bealtaine (Co. Wicklow) and Abundance Festival (Sweden). Ailish’s work is kindly supported by Dance Ireland, The Arts Council, Ireland and Culture Ireland. Ailish has completed teacher training with renowned Functional Anatomist Irene Dowd (NYC), Dance for Parkinson’s Disease (Mark Morris Dance Company, Brooklyn) and is currently specialising in Choreological Studies (TRINITY LABAN). Committed to developing contemporary dance within communities, Ailish has designed and delivered many large scale projects for various groups of mixed abilities including: H.S.E. Dublin, Kerry Local Sports Partnership, V.E.C. Kilkenny, South Dublin County Council, Bealtaine Festival, Dublin Dance Festival, Enable Ireland, St. John of God’s, Stewarts Care, Dance Ireland, Youths at Risk among others. 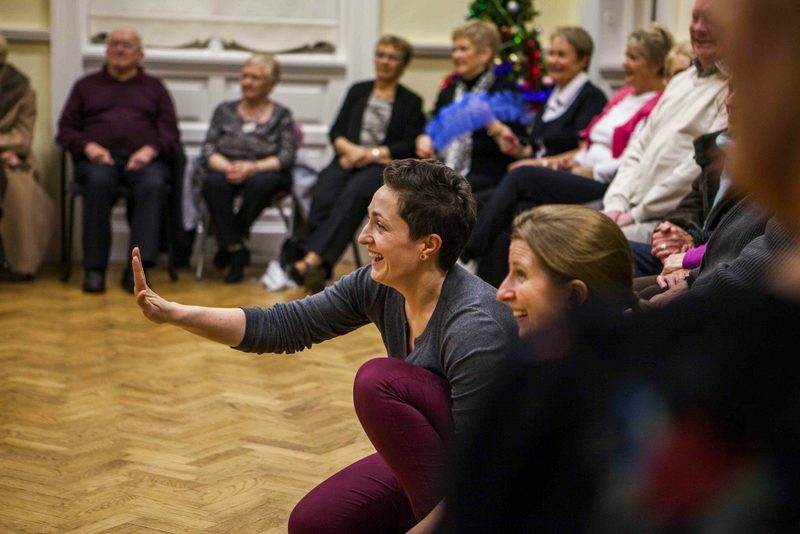 As part of Claffey | Christofi Dance, Ailish was co-director of the Macushla Dance Club (a dance initiative for over 50s in North Inner city Dublin) between 2012-2014 and Community Dancer in Residence for Kerry County Council alongside dance artist Laura Murphy. 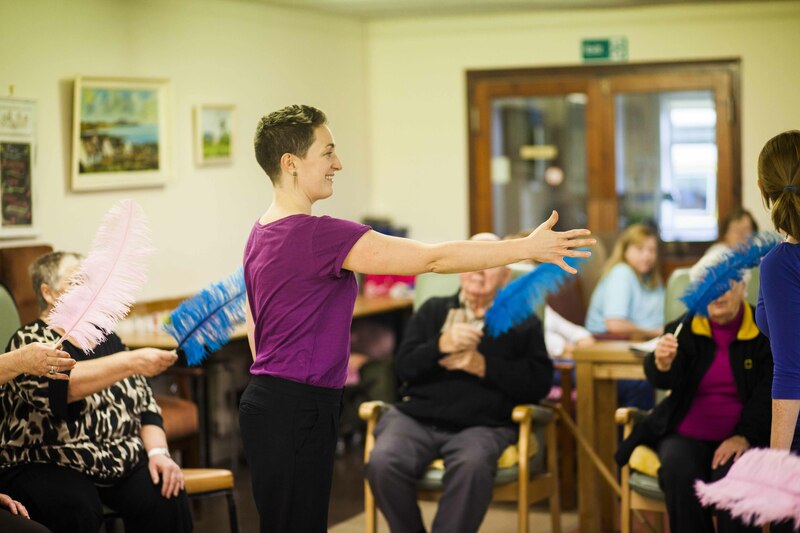 Ailish is currently Dancer in Residence at The National Centre for Arts and Health and is in residence at The Age Related Health Care Unit, Tallaght Hospital (AMNCH). 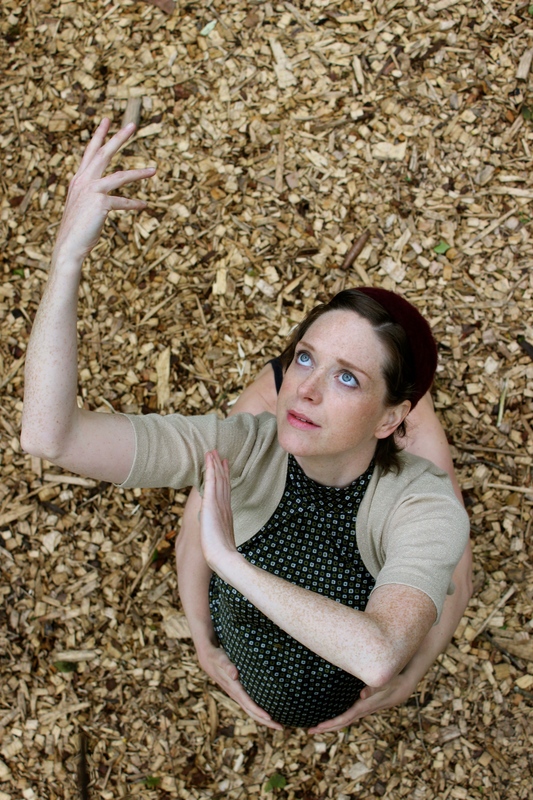 Jessie Keenan is a Dublin-based dance artist. Her practice explores site-responsive dance within non-performance spaces, and incorporates cross discipline and collaborative processes. Jessie creates detailed and articulate movement, with strong relationships to space and architecture. Recent projects include: Her Supreme Hour a solo commissioned by the Dublin Dance Festival/GPO Witness History Public Art Commission for Embodied (April 2016); Low_lying, a collaborative work with visual artist Ciara McKeon and musician Robbie Blake, commissioned by Dance Ireland for Mind Your Step 2015. Upcoming work includes: Development of Low_lying for performances later in 2016 and choreographing for Insight #4 a concert in the Irish Composers Collective’s music and visual series. This year Jessie was awarded a Dance Bursary by Arts Council Ireland, and the Tyrone Guthrie award by Cavan Co. Council. We are a group of movers coming from different backgrounds united in the idea of bridging the gap between hip hop and contemporary dance. Based in Dublin, we have created space for dancers to explore possibilities of body contact in hip hop. We have also created several events like Cypher Kingz, Ex-perimental and Work in Progress, where our community had a chance to learn, showcase and exchange ideas around the future of hip hop dance. Company members have taught classes and workshops in Ireland, Venezuela, Holland, UK, Spain and Poland and Portugal. Matt is a dancer, teacher, videographer and choreographer based in Dublin. He has created works for companies including Anna In-Between, TartRe, and knowFlowdance. Matt is the co-creator of award winning group SLC and humanz collective. For CoisCéim Dance Theatre Matt has performed in The Wolf and Peter and Centenary 2016 at The Bord Gáis Energy Theatre/RTÉ. Matt co-ordinates several dance events across the city, merging contemporary and hip hop in unique way. Together with dance artist Carla Fazio, Michelle is developing VELOCITY; a dance access programme for secondary school students in Dublin. 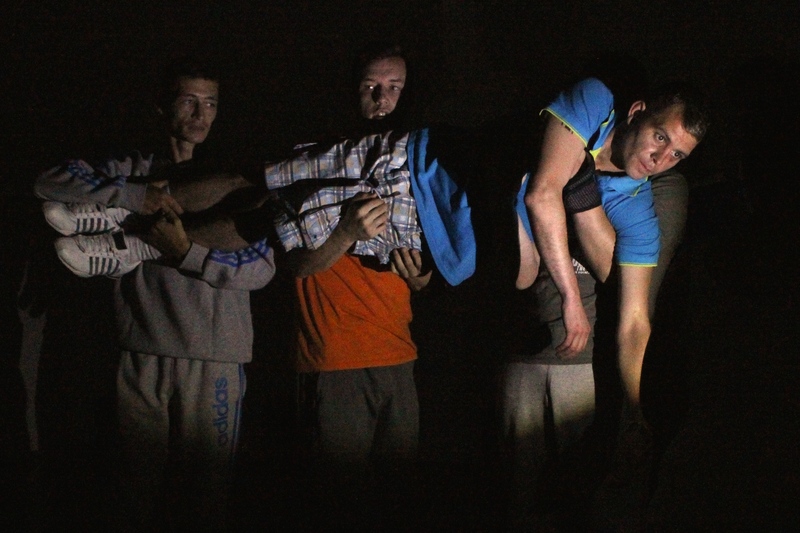 Velocity is supported by Dance Ireland and Dublin City Council. Aimed at professional performance practitioners, this workshop in January 2015 was an opportunity for artists to prepare their documentation…edits…images…files for the coming year of funding applications. HAVOC will run this workshop again in Summer 2016. The term non verbal is often used to describe dance as an art form. It is also one of the most crucial spectrum distinctions, in the diagnosis of Autism in young children. Children imitate common hand gestures and facial expression. They learn to read the body from an early age. That is how they learn social behaviour and basic communication skills. But what if they don’t? Can we imitate them? Try and inhabit their world? And what do we use? Elbows? Knees? Our centre? Out Side In examines the physical and sociological impact of pregnancy and motherhood, on the female body. Drawing from a series of interviews, the work was developed in collaboration with a wide demographic of Dublin based women and tells the story of one woman’s transition, as her inner world becomes exposed. This work is an outcome of research into new modes of collaboration through screen based technology. The footage was gathered almost exclusively through improvised movement and explores the the editor as choreographer. A reduction in large expansive movements, creates space for the camera to pick up on the subtleties of the dancers choices. This technique is intended for application in collaboration with non-dancers and community participants, with reduced movement capability. Commissioned by Dún Laoghaire/Rathdown County Council, this project was aimed at older people in South County Dublin. Together with Ailish Claffey, Carla Fazio and myself, we delivered workshops to three local groups of men and women aged 50+ between September and December 2013. The work culminated in a celebratory dance workshop in December. RADE was founded in 2004 and over the past ten years the project has collaborated with some of Ireland’s leading professional artists, producing 8 creative writing publications, 8 documentaries, 3 short films of fiction, 6 original theatre plays, a radio play for RTE, an opera featured in the 2012 Fringe Festival and several art exhibitions. Participants have also appeared in TV commercials, independent short films and recently in the hit series Love/Hate. RADE is a community arts based training scheme where participants engage daily in a variety of workshops: Drama, Dance, Film, Creative Writing, Art, Tai Chi. Workshops are facilitated by staff and a varying number of external artists. The programme’s vision is “Creativity is open to everyone” and from this perspective RADE has helped to develop numerous new artists and attract a broader local community audience to the arts. 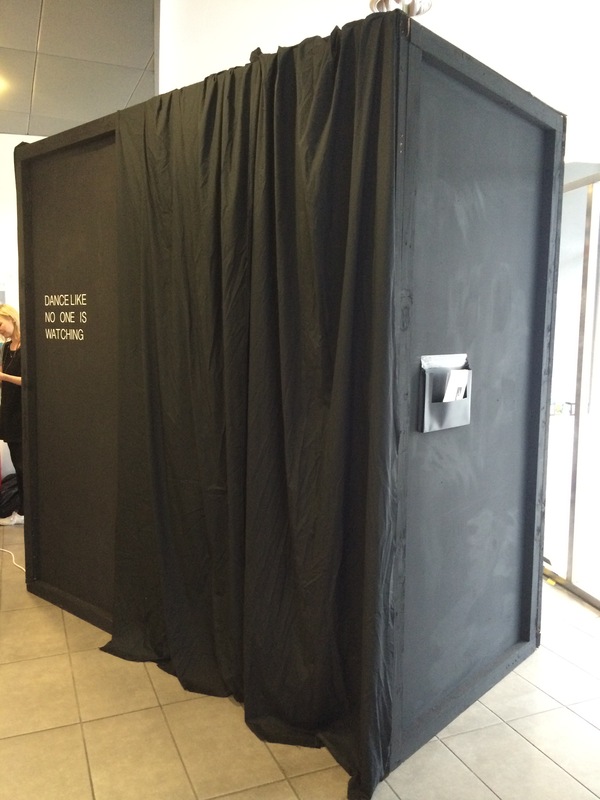 Cathy Coughlan was resident artist at RADE from January – September 2014. 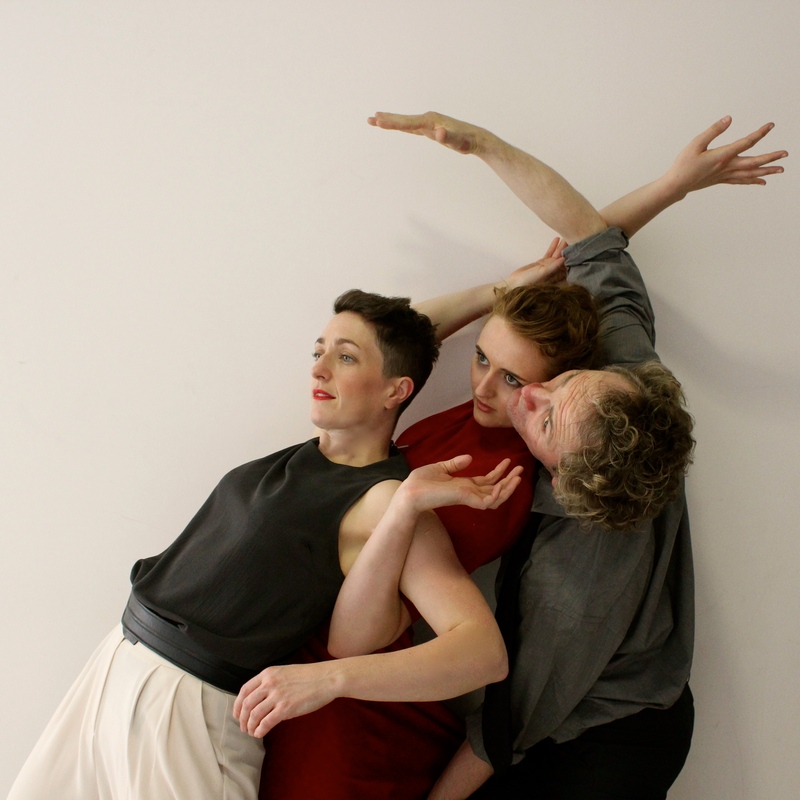 The piece was initially developed in the studio’s of Dance House as part of Cathy’s Dance Ireland residency. 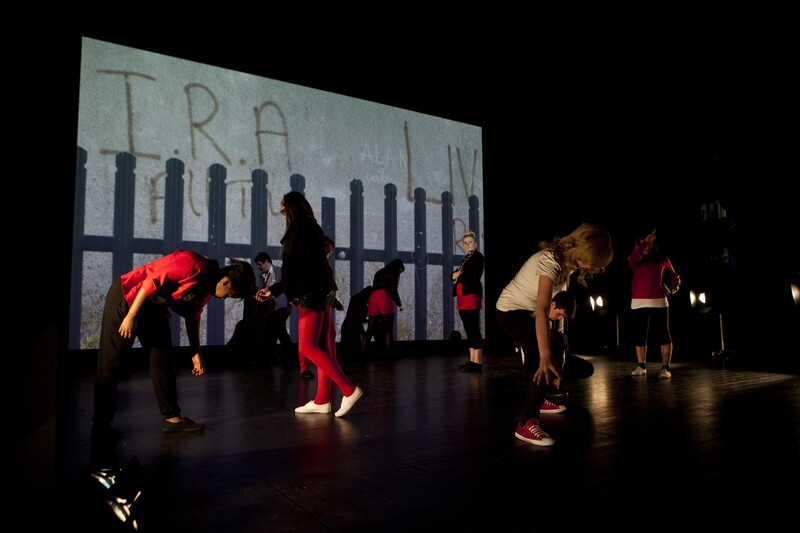 Participants were invited to collaborate on the choreographic process and engage with a professional dance environment. As well as creating the piece through pedestrian movement and contemporary dance, the group were encouraged to incorporate any existing movement practices, such as tai chi, yoga, professional boxing and street dance. Stepping In / Stepping Out with Dance was awarded to me through an open call for artists under the Public Art Commission, through Offaly County Council and Tullamore Town Council. The commissioned work was to take place in Puttaghaun Close a new Local Authority Estate in Tullamore Town. Following a consultation process between Offaly County Council and Tullamore Town Council with the residents a number of artistic projects in dance, drama and visual art were commissioned under the Per Cent for Arts Scheme. The projects were to create artwork which would involve a strong an element of participation by the residents and in particular the young people. The commission ideally should “contribute to an enhanced community spirit and better social communication”. There were 50 plus children between 7 and 17 years of age living in the estate at that time. The suggested dance form was Street Dance that would appeal to young children, with a focus on expressive and improvisational movement for young people. In Phase I was very keen to work on building on and strengthening the relationships between the young people through carefully planned workshops but felt that I needed support in the area of street dance. I made connections with Nick Bryson of Legitimate Bodies Dance Company in Birr. Nick became my mentor throughout, and he put me in contact with Hip Hop Dance Artist Charlie Dando (USA). Charlie joined me in Phase II of the project at a time I felt the young people were ready to engage more successfully with techniques, and work towards sharing their ideas with family and friends at an informal presentation in the Community Centre on site. I invited local films makers from Hello Camera to document the latter stages of the project and conduct interviews with the young people, the funders, the support workers and Charlie and I. The documentary reveals the challenges that we all faced and the breakthroughs that were made in terms of communication, relationships, dance skills and an improved preciation for dance as an art form. The screen in its many modern forms has become the device through which we define ourselves. We create our identity and perceive our reality through a frame that is decided rather then organically established. In camera terms it is the Aspect that decides what we see and through this lens, we begin to observe each-other. By making the decision to frame an image we also cut information away from view, leaving room for paranoia, comedy, misunderstanding and isolation. In this work the performers exist simultaneously both on and off screen, in their physical place and through digital recordings. Here, the screen becomes a divider, where the observer becomes the observed and where control bounces from stage to screen affecting the relationships of the dancers. 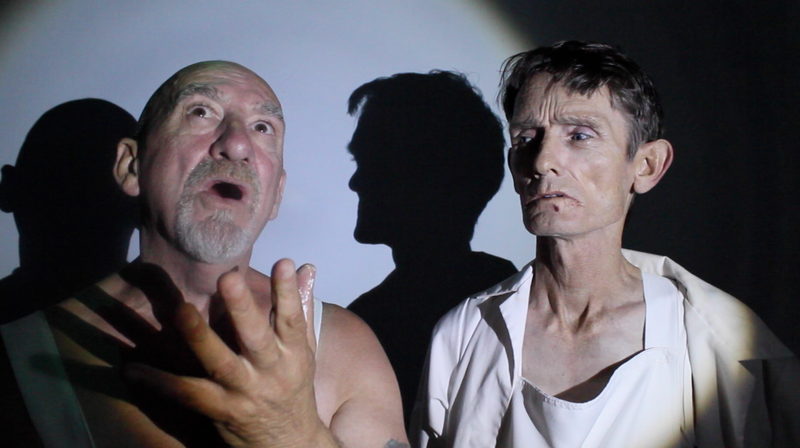 ‘Aspect’ was staged at the Dunamaise Arts Centre in March 2012 and brought together live performance and film, solo work and community collaboration. Developed as an intergenerational project in collaboration with members of the Laois community, participants were asked to explore observation culture. Prior to this performance project, 5 separate groups were established across a wide area of Laois (separated by age). Over 50 workshops took place between September and December 2011, developing movement and observation skills. Many of the participants did not have English as a first language and many were experiencing dance and certainly live performance, for the first time, so the focus of these initial workshops was on building lines of communication through movement. These workshops took place off site (not at the Dunamaise) to allow for optimum attendance and participation. Drawing on their individual experiences, a smaller group (who elected to perform) then took a further 3 months at the Dunamaise, to develop the piece collaboratively. Mathematics was a performance based on my year with UnLaois’d Youth Dance Company. Through a collaborative process we explored the frustration felt by ordinary Irish teens in a school environment. The specific themes that arose were physical restriction (being seated all day), bullying, sport, relationships and conformity. These five themes were presented to the audience as maths questions ( through a screen back drop) and answered by the dancers. 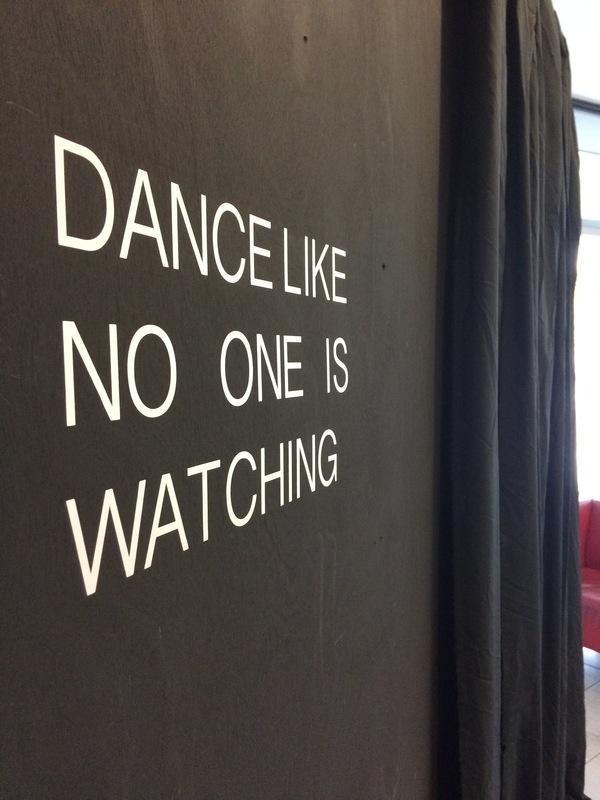 For most of the young people involved, it was their first experience of a dance education / performance environment. The workshops ran weekly from September 2010- June 2012 and were attended by both young men and women. 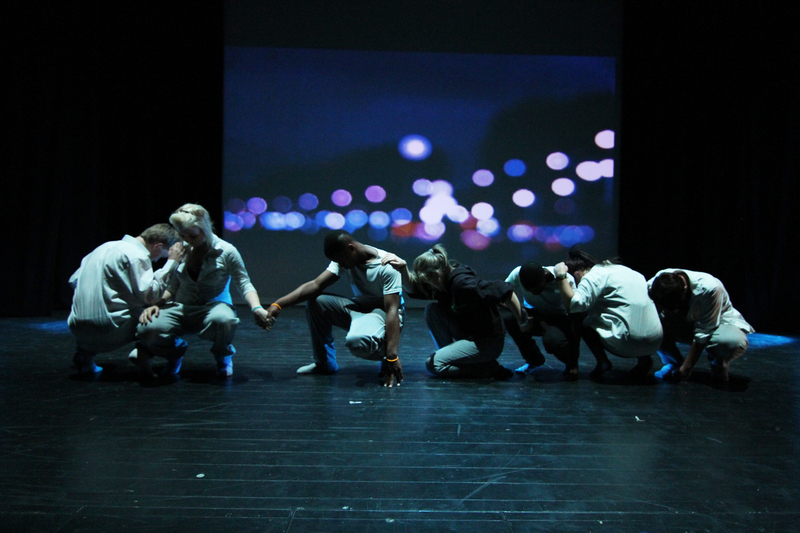 We began with familiar street dance styles and slowly built an awareness of contemporary dance. Over time, the group adapted their work to incorporate contemporary movement, partner work, lifts and improv. They also attended works by CoisCeim Dance Theatre and a solo work by Colin Dunne at the Dunamaise in 2012. 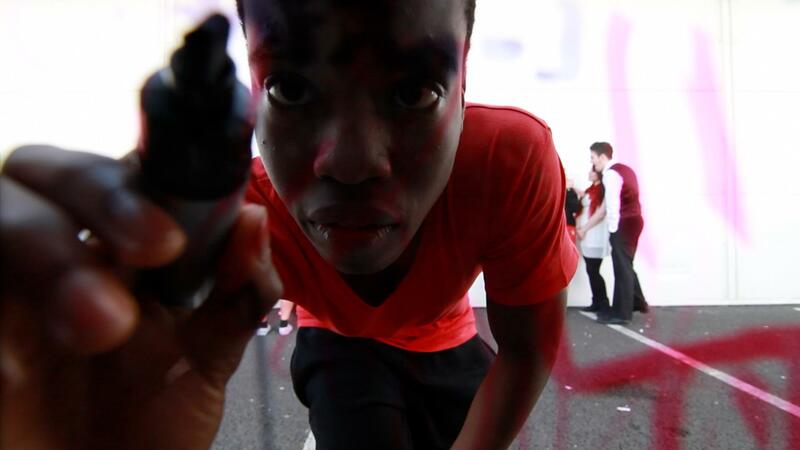 The work was supported by The Arts Council’s Youth Ensemble Scheme.